The Gospel of the first Sunday of Lent takes us with Jesus in the desert, the place of the encounter and of the intimacy with God, but also the place of the supreme fight with the tempter. The aim of these forty days is that the Church, following the example of Jesus Christ, who went into the desert to fast for days, makes us live the same period of time to prepare us to “celebrate the event of the Cross and Resurrection – in which the love of God redeemed the world and shone its light upon history” (Benedict XVI, Message for Lent 2013). 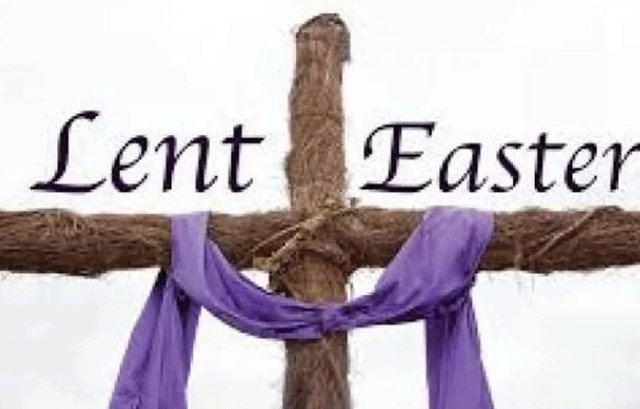 The purpose of Lent is not for mortification. It is for the encounter with Christ at Easter. For this walk toward the Crucified and Resurrected, it is necessary to purify our eyes, our heart, and our mind, to look, love and understand others and ourselves as God does. In this exodus toward God’s land, prayer, “that is the effusion of our heart in the one of God” (Father Pius of Pietralcina), is necessary. “It is necessary for us to pray because prayer gives us a pure Heart and a pure heart knows how to love” (Mother Theresa of Calcutta). A pure heart has pure eyes to see God. If it is useful to know the purpose of the number of forty days, it is good also to know that its origin is not in the Gospel, but in the Old Testament. In Genesis, we read that because of the flood, the wise man Noah spent forty days in the arc with his family and the animals that God had told him to carry along. He waited another forty days after the flood before coming ashore (Genesis 7:4.12; 8, 6). The book of Exodus tells us about Moses who remained forty days and forty nights on Mount Sinai with God and received the Law. During all this time he fasted (Es 24, 18). Also, Deuteronomy tells us that the walk of the Jewish people from Egypt to the Promised Land lasted forty years and it was a privileged time in which the elected people have experimented God’s fidelity. “Remember how for these forty years the LORD, your God, has directed all your journeying in the wilderness…The clothing did not fall from you in tatters, nor did your feet swell these forty years,” said Moses at the end of these forty years of the desert (Dt8:2.4). Forty were the years of peace for Israel under the rule of the Judges. (Judges 3:11.30). Unfortunately, after this period, the lack of the memory of God’s gifts and of the application of the Law took over. Forty days were needed for the prophet Elijah to reach mount Oreb where he met with God (1 King 19, 8). Forty days were requested by Jonah from the citizens of Nineveh to do penance and they were forgiven by God. (Jonah 3, 4) Forty are the years of the kingdoms of Saul (Acts 13, 21), of David (2 Sam 5:4-5) and of Solomon (1 Kings 11, 41) the first three kings of Israel. In the New Testament, we read that forty days after his birth Jesus was taken to the Temple and Simon, at the end of his life, could meet the Son of God, at the beginning of his life among men. Forty were the days that Jesus spent fasting in the desert where he went under the guidance of the Spirit (Luke 4:1-13). While praying Jesus fed himself with God’s Word using it as a weapon to win evil. After these 40 days, the Redeemer started his public life. In conclusion, 40 is the symbolic number with which the Bible shows us the most important moments of the experience of the faith of the people of God. This number doesn’t represent a chronological time but a necessary time to see God’s work. It is a time to make up our minds and take responsibility without postponing it.